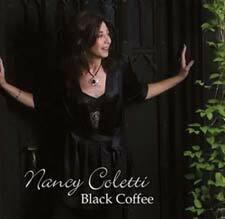 The Official Website of Nancy Coletti \ Tag: iTunes Nancy Coletti "Black Coffee"
Tag: iTunes Nancy Coletti "Black Coffee"
Saturday 7/27, from 7:00 p.m.-10:00 p.m.
Friday June 1st from 7:30 p.m. to 10:30 p.m.
Friday May 18th from 7:30 p.m. to 10:30 p.m.
Thursday 5/31 from 6:30 pm to 9:30 pm. Deerhead Inn from 7p.m. - 11p.m.